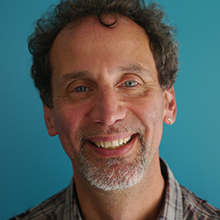 Strategist, analyst, author, speaker, connector — for more than a quarter-century, David Kleeman has led the children’s media industry in developing sustainable, kid-friendly practices. Kleeman is Senior Vice President of Global Trends for Dubit, a strategy and research consultancy and digital studio based in Leeds, England. For 25 years, he was President of the American Center for Children and Media, a creative professional development center. Kleeman is advisory board chair to the international children’s TV festival (Prix Jeunesse), a board member of the National Association for Media Literacy Education, and a former Governor of the Television Academy. He was a 2013 Senior Fellow of the Fred Rogers Center. In 2014, he received the “Pioneer” Award from Kids @ Play Interactive. Kleeman travels worldwide seeking best practices in children’s and family media, technology and products. He has given conference talks or seminars on six continents (anyone need a speaker in Antarctica?). He writes extensively for trade and general press, including frequent commentaries for the Huffington Post and Kidscreen.